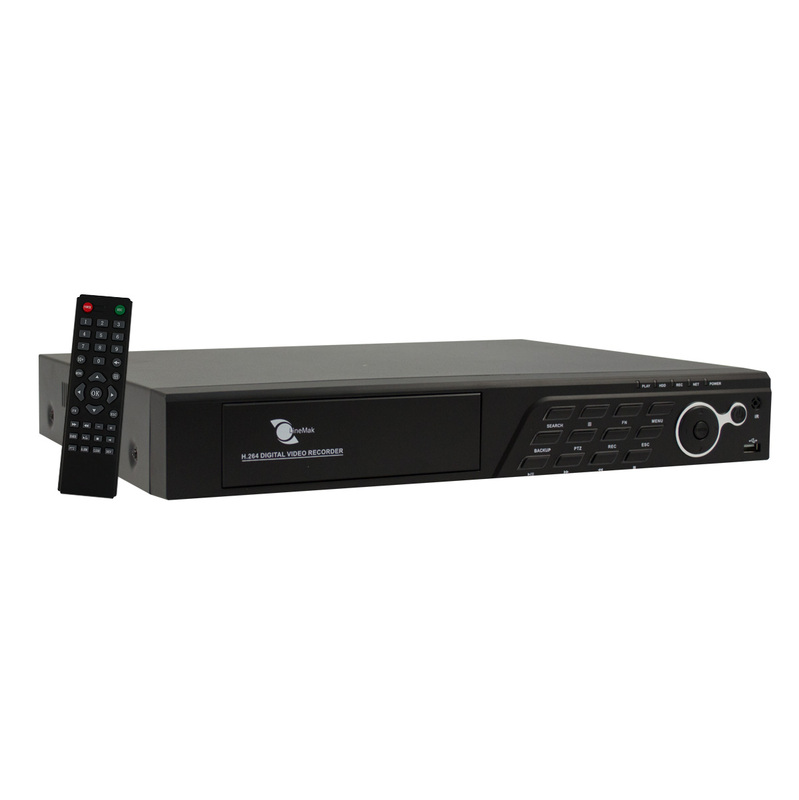 16 Channel DVR, H.264 Compression format, BNC/VGA/HDMI simultaneous outputs, Audio 4-Ch in/1-Ch out, 960H Resolution, Pentaplex function. 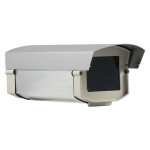 - Mobile surveillance: iOS, Windows Mobile, BlackBerry, Symbian and Android. - Hard drive not included. 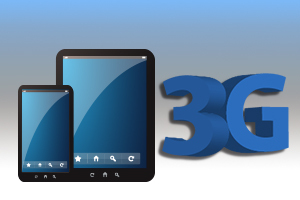 - 3G dialing with Wi-Fi module extension support. - Multiple web browsers support. 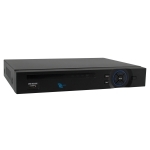 This easy to use DVR (Digital Video Recorder) features an English menu and motion detection recording. 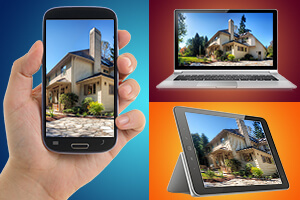 Monitor your cameras on the internet from anywhere through your PC, mobile cellphone (Android, iPhone) or tablet (Android, iPad) in real time. Mouse and remote control included. 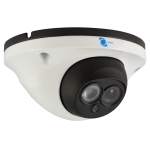 This video surveillance equipment can record images registered by their cameras and is very easy to use. 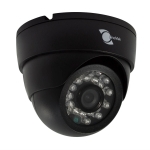 Multiple recording modes: Manual, timing, motion detection, video blind and video loss recording. Control method: USB control, front panel, network control and remote control. Compatible with WIN98 / WIN2000 / WIN XP / WIN VISTA / WIN SEVEN. - Easy access to the Internet for remote monitoring via P2P cloud services. No multifarious network settings needed. - 3G dialing support, Wi-Fi module extension and multifarious of mobile phone monitoring (iPhone, Windows Mobile, BlackBerry, Symbian and Android). - Multiple web browsers support (IE, Chrome, Firefox and Safari). - 2 USB port to support mouse, backup, burn and upgrade etc. - Over 20 different languages (English, Finnish, French, German, Greek, Italian, Japanese, Polish, Portuguese, Russian, Spanish, Thai, Chinese, traditional Chinese and Turkish, etc.). - Flexible display and free replacement boot interface. This Recorder does not include Hard Drive since it depends on the installer or the consumer on what requirement of Hard Drive capacity they are in need. We sell various types of Hard Drives. Please ask us for our recommendations or questions if you are not sure or need support before purchasing. 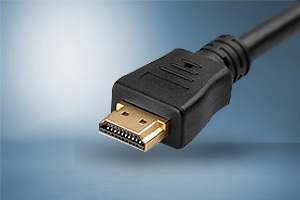 HDMI supports standard, enhanced or HD video. 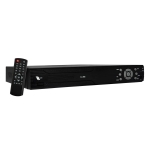 This recorder features an HDMI output which delivers enhanced image clarity with crisp images and enables you to view your security camera video in HD on your HDTV screen. HD images can be reproduced with the HDMI support for HD display. 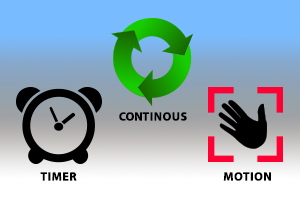 Multiple selectable recording options are available such as motion detection, continuous and scheduled recording. This enables you to choose the appropriate recording type for your security needs and to maximize the number of hours of video you can record and store on your hard drive. 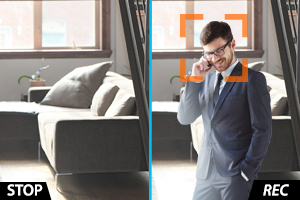 Pre-define zones within the area covered by each camera so that the DVR only starts recording when motion is detected within the zone. This saves hard drive space and reduces the amount of video recorded, making it easier to find the video you need if there is an event. 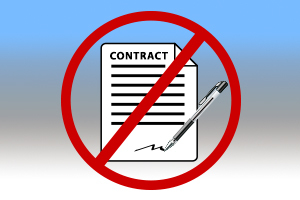 Once your system is installed, you have the peace of mind that your property is protected with the added advantage of no binding contracts and no recurring monthly subscription fees.